Any time is a good time to visit New Orleans. However, we definitely have our favorite times of the year to take in all of the things we love so much about our city. And fall is one of them. After the summer slows down, the city picks up a nice pace. The weather cools down. Saints season kicks off, and it brings an exciting energy along with it. Fall festivals are in full swing. These are just a few reasons that make fall the perfect time to visit New Orleans. If you find yourself in search of the perfect fall getaway, let our guide lead the way. *Editor’s Note: Be on the lookout for special midweek travel deals at hotels throughout the city. 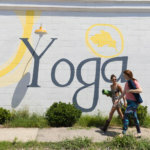 In New Orleans, the French Quarter gets all the love but just a short ferry ride away is quaint and cool Algiers Point. 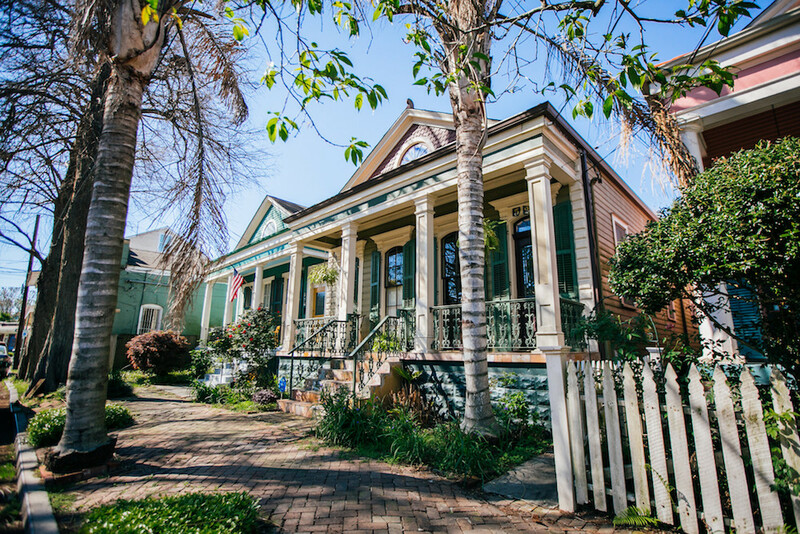 Catch the ferry from downtown and head across the river to the West Bank to experience this neighborhood. During the fall, Wednesdays On the Point is a locals’ favorite way to enjoy great live music, food, local artisans, and one of the best views of the city. 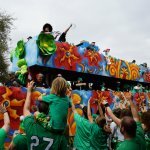 The fall weather allows you to experience all of the unique outdoor landscapes that New Orleans and the surrounding areas offer. One way to do that is on a swamp tour. 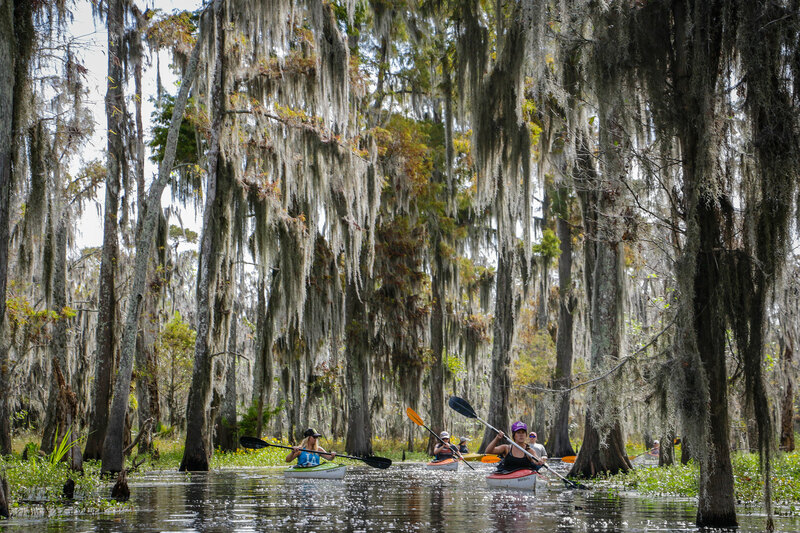 If you want to get a sense of what a swamp tour looks like before you decide to venture out, take a visual tour with our GoNOLA slideshow. Another option is to visit the nearby Barataria Preserve to see some of the region’s wildlife. New Orleans has endless streets with vibrant architecture and interesting sights to explore. One of our favorite streets is Esplanade Avenue. 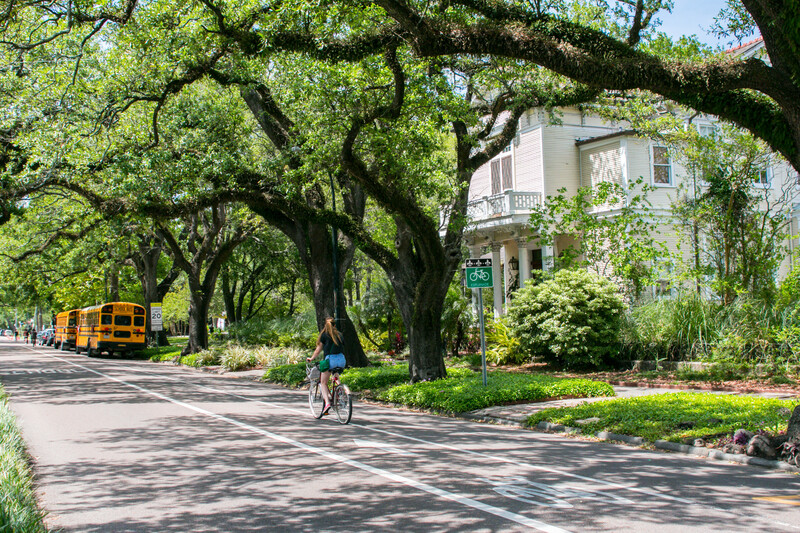 Start the day by renting bikes (Free Wheelin’ Bike Tours or NOLA Blue Bikes are two great options) and ride down this stunning, tree-lined avenue. Stop by the sweet little CC’s on the corner of Esplanade Avenue and Desoto Street for an iced coffee (our favorite is the Mochasippi). Make your way down to the neighborhood grocery Canseco’s market, and pick up crawfish pies from the hot bar and a bag of local Zapp’s chips to-go.. Ride down to the Bayou, and find the perfect spot to snack and enjoy the sights of Bayou St. John. The best way to start any day in New Orleans is with beignets. First things first. 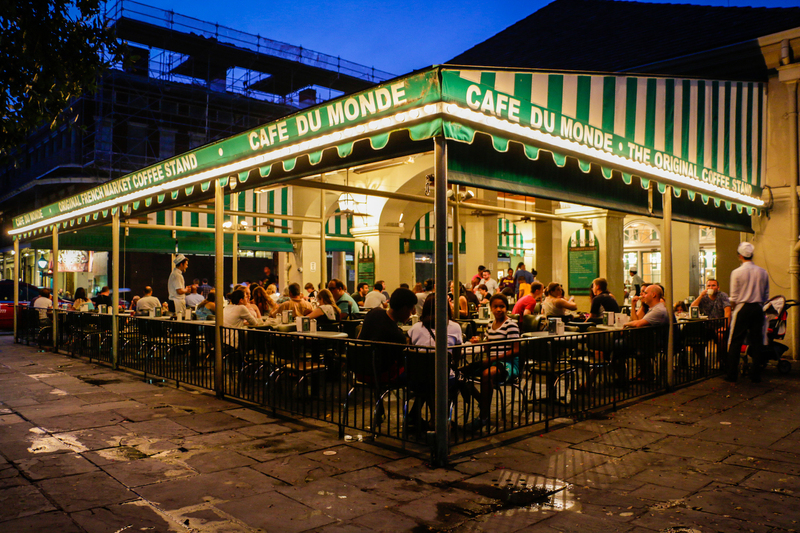 Make your way to Café du Monde on Decatur Street for beignets and a café au lait. 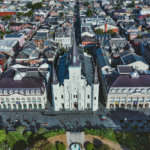 Once you’ve dusted your clothes with powdered sugar and had all the fried, delicious dough you can handle, walk across the street and visit the St. Louis Cathedral, the oldest cathedral in the country. Take in the sights and sounds of Jackson Square where you’ll find street musicians, artists (and a few tricksters too). Across from St. Louis Cathedral is the Cabildo, which features various exhibitions throughout the year. 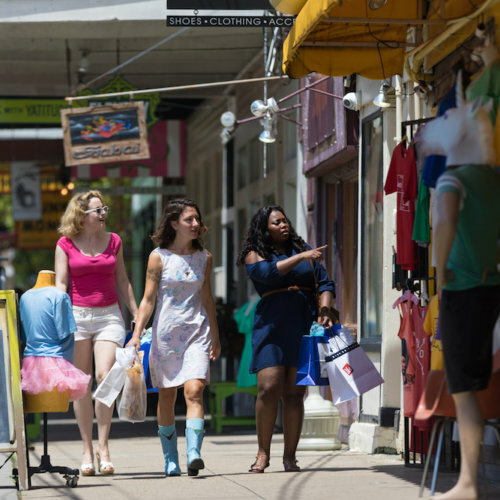 Visit the shops and galleries along Royal Street. Keep an eye out for the Frank Relle studio on Royal Street. Head to lunch at Muriel’s, and order the crawfish crepes and the shrimp etouffée. Afterwards, make your way up to the balcony for cocktails and fantastic people watching in the French Quarter. It’s impossible to visit New Orleans without experiencing authentic, live music. It seeps from the streets. On Frenchmen Street you’ll find some of the best live music in the city. We say some because there is incredible live music scattered throughout the entire city. But for the purposes of this itinerary, we’ll stick to Frenchmen. All you have to do is show up at Frenchmen Street, and you can roam into any venue for a taste of New Orleans music. We usually like to start the night at Maison, then head to Blue Nile, DBA, and/or the Spotted Cat. Save for holiday weekends, most venues offer free admission. 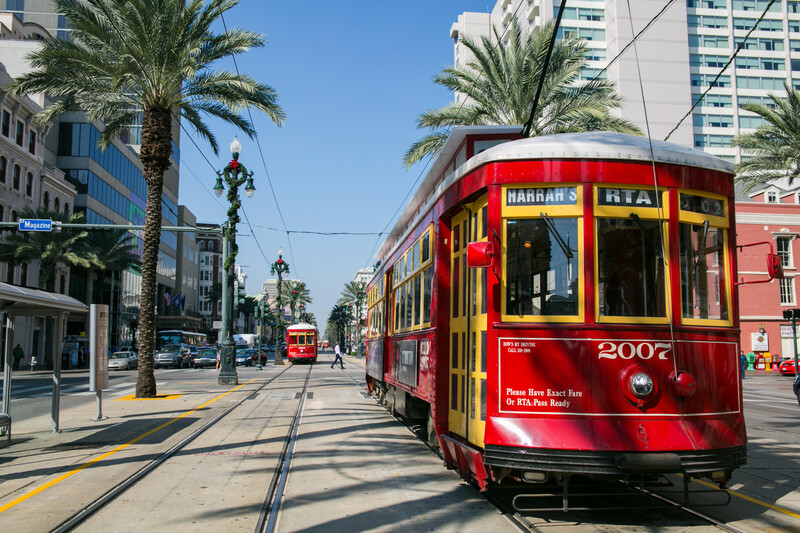 Catch the streetcar at Carrollton Avenue and St. Charles Avenue and ride it all the way down St. Charles Avenue to downtown. The beautiful oaks and magnificent mansions on St. Charles are not to be missed. Walk over to Willa Jean and have breakfast pastries and coffee. If you are not one to turn down dessert like we are, have a chocolate chip cookie (or a few). Walk over to Compère Lapin and see Abigail at the bar for a specialty cocktail at the Old No. 77 Hotel & Chandlery. If you’re lucky, you might catch an art exhibit on display, as the Old No. 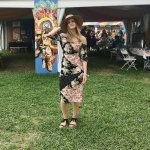 77 partners with local organization Where Y’at to showcase New Orleans artists throughout the year. Have lunch at Pêche and share fresh, raw oysters and the whole fish. Afterwards, stroll down to Julia Street and visit the galleries in the art district.